Enjoy this excerpt from the “Beyond the Blue Building” blog at my new place of employment, the Western Upper Peninsula Health Department. Or, click here for the full story. My new supervisor and I prepping for a ride. 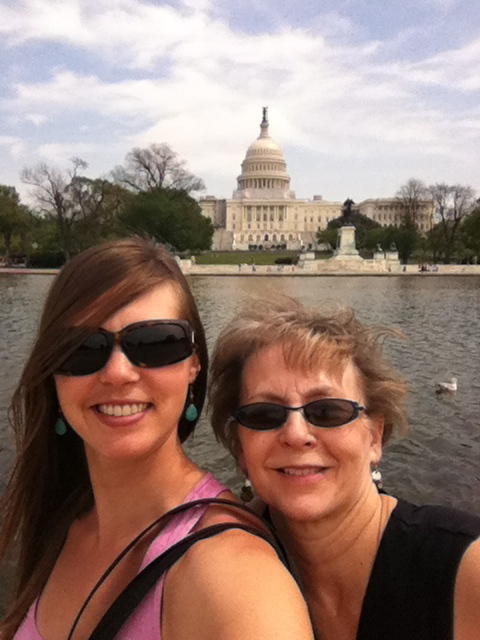 Guest blog by Mom: So what DOES her mother think? Self portrait attempt during a brief sightseeing excursion in DC. Okay, at this point in the School Food Tour both Sara and I have had this question from a number of people, so let me try to respond from a Mom’s point of view. First of all, I have to say that when the idea of the School Food Tour was still germinating in Sara’s brain; I thought it was probably just a pie in the sky idea that would not come to fruition. In my mind, there were so many variables and obstacles to overcome that when Sara asked if her Dad and I would take her Siberian Husky, Grizwald, for the duration, I quickly responded, “yes”, quite sure that the dream would not become a reality. Well, low and behold, I underestimated my idealistic and determined daughter. We have now had the grand puppy for 10 months and Sara is on the last leg of the School Food Tour, pedaling north to the Upper Peninsula in Michigan. For me, the time has, by turns, gone by quickly and interminably slow, waiting for phone calls, texts or emails to assure us of her safe arrival at yet another destination on the tour. I’m afraid to say there have been times when my attitude has been, “hope for the best but prepare for the worst”, especially when waiting for some form of communication assuring us of her safe arrival in civilization. During those times I worry and, when I do have to opportunity to talk to her, remind her of the dangers lurking (“Remember, Sara, there are people who actually live in those trees in the Redwoods who might prey on you”!) Okay, that might sound a bit goofy, but remember, this is her Mom talking. I have to say, my emotions during the past 10 months have run the gamut, ranging from anxiousness to relief when hearing her voice after a stretch of no communication. While her Dad and I worry and remind her of the dangers of the road, we are also extremely proud of her efforts and in awe of this worthwhile epic venture. After following the Tour from afar, at home in the Upper Peninsula, I now have a new appreciation for the daily grind of pedaling and promoting healthy school food while still working on the road; keeping up with updates to social media, blogs, etc. That’s primarily because I just spent the last week on the road with Sara as support vehicle for the School Food Tour, joining her for the Washington D.C. to Ohio stage of her trip. During this time, I had the pleasure of meeting the elusive and loyal Felice as well as a generous supporter, Liz. When we hit the road out of D.C. I found myself a little less anxious, thinking I now had some idea of the route on a daily basis. Of course, it didn’t help to ease my fears when I found she changes her route frequently dependent on traffic, terrain, etc. 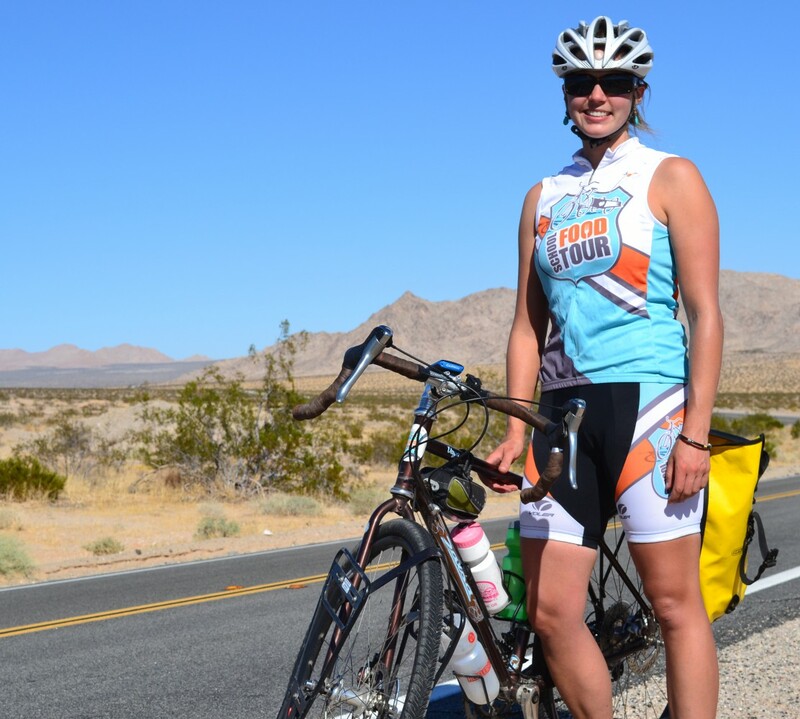 Throughout this grand adventure, my worries and concerns have been significantly assuaged by Sara’s friends, her sponsors, as well as our friends and family members who have supported her on this journey either in spirit or in person. My thank you extends to the people who welcomed her into their homes, fed her and gave her a place to rest her weary head. As a Mom, knowing that people like this exist helps me worry less and sleep at night. So, in closing, as I always say at the end of my conversations with Sara on the road, I love you and be safe. And, in answer to your question Sara, I do think it’s possible for one girl and her bike to make a positive contribution to the school food revolution in this country. A Tour community makes the news! HUGE props to Houghton, Michigan for its recent passage of a Complete Streets Ordinance. This new health statute is an exciting step forward for an unpretentious little community in the almost entirely rural Upper Peninsula of Michigan. Houghton also happens to be my hometown (Go Gremlins!) and still holds a dear piece of my heart. I have watched cycling bring this quaint midwest college burg alive over the past 15 years. Thanks to the diligent efforts of a handful of bike-minded (hah!) individuals, Houghton has been designated as a ‘Bike-Friendly City’ by the American League of Cyclists and is also host to many popular mountain biking events during the summer. I am so proud of my hometown and my dear friends who have led the healthy living charge there through their passion for promoting cycling. 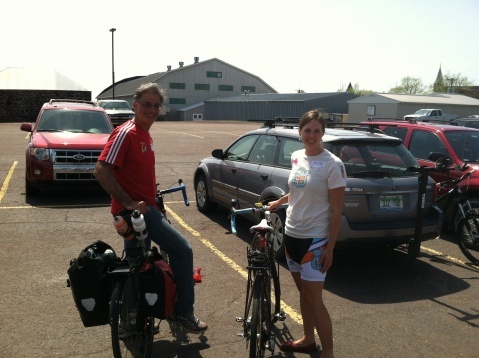 The School Food Tour can’t wait to complete the ride in Houghton! On a side note, I am still totally in love with DoSomething – an organization dedicated to involving teens in changing their communities. They’re offering Be Amazing Grants of $2,000 for young applicants who are “inspiring people to act big”.